Fast pass - Thinkathon is a 3 or 4 days hackathon for thinkers. We combine thinking tools, creative enviroment and cherry picked relaxtion activities to support your goals. We are strong believers of intermittent collaboration - every thinkathon consists of sprints, gatherings of people that focus on a particular problem, and time for individuals working alone. There is no one fits all approach - all thinkathons are tailor made. Over the years, we have helped many businesses to innovate. In every case we have seen the struggle between business-as-usual thinking and the need to reinvent for the future. We apply creative thinking tools in a systematic way, from idea generation to validation and execution. Many people think that creative thinking and improvisation have no business in the workplace. We politely beg to differ - we know they offer opportunities for exploration and insight unmatched by traditional thinking. That’s why we designed a problem-solving method called 4 roles model. This powerful technique helps your team to analyze, innovate and solve almost any challenge. 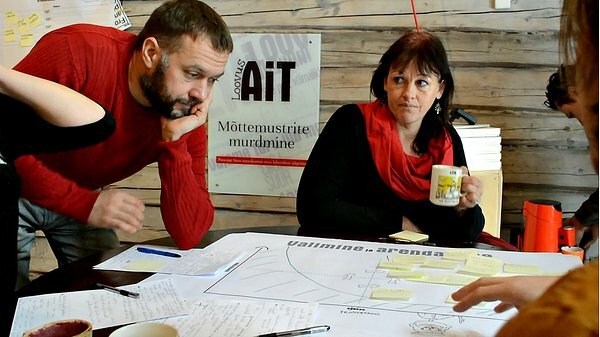 Based on pre-workshop interviews with your team members and customers we´ll design your thinkathon so you and your team can co-create and find crazy ideas. 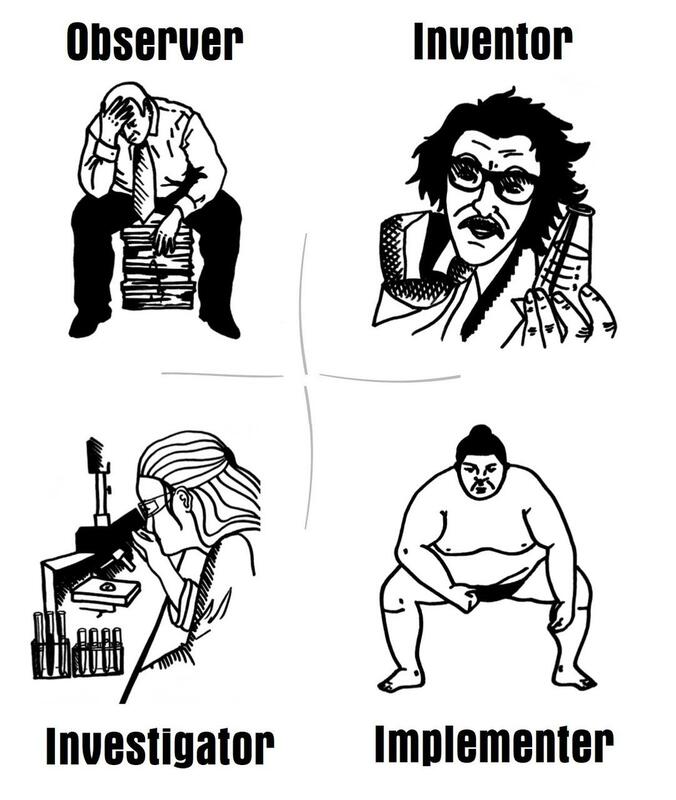 the Implementer – implementing solutions. In every thinkathon session your team will use a variety of useful tools on observation of clients, ideation, prototyping, validation and decision making. The key to this process is being able to look at a problem from different perspectives. This can be challenging, and you may find the process a bit alien. Don't be afraid! And please remember - not just any team will do. The people on your team must want to be there. Otherwise, they´ll push for business as usual. Above else we prioritize distraction-free concentration, tools for effective creative thinking and spending some time in a natural environment - quality time outdoors can help you overcome creative blocks. Contact us for information about our engagement process, workshop outcomes, optimal number of participants and pricing!